Grand Strand Beaches (Little River to Pawley’s Island SC), Horry and Georgetown Counties SC as well as NC Sunset and Ocean Isle Beaches, and a portion of SE Brunswick County NC. 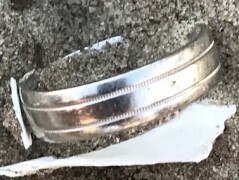 I search Beaches, Parks, Athletic Fields, "Ocean/Lakes (up to 5ft depth)" Properties (yards and gardens), Estates and other areas where jewelry, keys or any lost metallic valuables may have been lost. If an item is lost on private property, you must obtain prior permission. Metal detecting is prohibited in National and State Parks, but permission can usually be obtained from the Park Services on a case by case basis. A retired Veteran with over 30 plus years of service in the US Coast Guard and an additional 12 plus years of Federal service under an agency within the Department of Homeland Security. My life has been dedicated to helping people in need. Authored: TEARDROPS In The TIDES; The Journeys of a “Ring Finder.” Published in 2018. Being retired, I am usually available with short notice and can be on-site within an hour. Jim, words can’t describe how grateful Patrick and I are for you and the work you did to find Patrick’s ring. After searching for a couple of hours in the ocean, we thought it was gone. 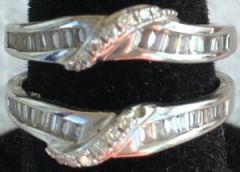 A wedding ring is so much more than a piece of metal. We’ve been married for 13 years and have welcomed 2 children into our family. We’ve celebrated many wonderful occasions and have supported each other through difficult times. September 1st was also our son, Connor’s, 10th birthday. Connor was so sad that daddy lost his ring and he said he’d always feel sad on his birthday thinking about that. 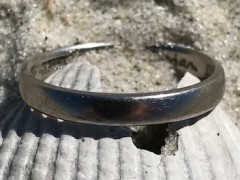 Thank you for taking time away from your own family to work a miracle for mine by finding my husband’s lost ring in the ocean tide. 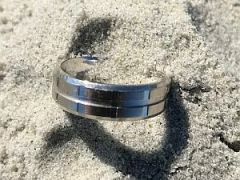 I lost my wedding ring at the beach today and didn't realize until it was time to pack up for the day and leave. Convinced it was a lost cause and gone forever after a day of swimming and an hour of searching ourselves, my husband called Jim. Thank goodness he did. Jim drove all the way to Oak Island and found my ring in less than five minutes. Jim, we can't thank you enough and for anyone reading this-I can't recommend his services enough! Jim is one of those guys that you only hear about in movies. 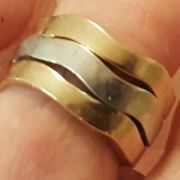 Not only did he find my wife’s ring in only a few hours, but then also sent back the ring to me on his own dime (it was shipped insured so it wasn’t cheap). What an outstanding guy!!!!! If we only had more Jims in this world, it would be such a better place. I just want to thank you from the bottom of my heart. You can’t even begin to understand how much we appreciate you and what you did for us. You were truly a blessing from up above. On that note, I wanted to add one more detail to the story, that you so excellently portrayed. When I said you were a blessing from up above, I wasn’t exaggerating. You see, I had all but given up on the idea that we would ever see the ring again (we live in Michigan and it was down in North Carolina). But it was a prayer that started my journey to your doorstep. I was actually heading into work (first day back from our trip to North Carolina) and was thinking about what I could get my wife for mother’s day. After a few silly ideas (of items i would have liked more than her) I stopped and thought well maybe I need some help. Having previously tried all of the online websites, I thought that maybe the maker of the world might be better equipped to shed some light on what my wife (and mother of 4) would really want. So I prayed to God for direction and insight. A few minutes later it came to me that her lost ring was at the top of her list. As we usually do, I just pushed away the thought because there was no way that was even possible. But again the thought came back up, only this time I was told there was someone online that can help. After trying a few search words I found the ring finders. Let me remind you I was still not at work yet. So I called Jim (not knowing if this was a scam since it seemed too good to be true) and left a message around 6:30am (as Jim stated above). 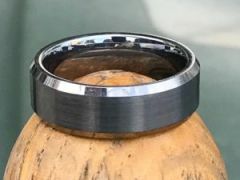 At 12:55pm I got a text he had found the ring. WHAT????? Going from “We will never see this ring again” to “Look familiar?!? !’ in just over 6 hours could only have been an act from God. It just so happen Jim was God’s tool that provided my wife with the best mother’s day gift I could ever have imagined. THANK YOU JIM FOR WHO YOU ARE AND WHAT YOU DID/DO!!!!!!!!! True story. Jim was WONDERFUL!! Do not hesitate to call him. I only wish I had called him the day it happened so we didn't spend a whole day of our vacation looking for the ring! 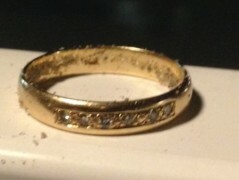 Seriously had pretty much given up hope of my tungsten wedding band being found! 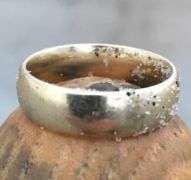 I found Jim though the Ring Finders website and he found it in less then 10 minutes of searching! This guys a pretty amazing dude!! Thanks so much Jim!" Thank you again for doing the, what I thought, impossible. 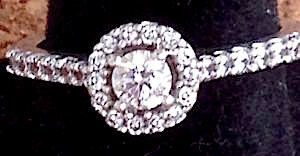 The ring has a lot of sentimental value, and I am really happy to have it back. Wish you good luck in finding the next lost ring. Thank you so much for your quick response and your service! We hope we will not need your services ever again, but are thankful we found you and your blog!! We were amazed at how quickly you were able to find James’ wedding band! After having met Jim, I'm not surprised at how he downplays such an important find, given my family and I were returning to Canada 12 hours later so there was absolutely no flexibility in the search. Or that he was there 25 minutes after I contacted him. Or that it was his wedding anniversary that day and that he was just about out the door for a celebratory dinner with his wife of 43 years and put everything on pause to help a complete stranger who happened across his name online. Jim, we cannot say thank you enough again for your help during this minor crisis. Our apologies again to you and "Mrs. Jim" for catching you on your anniversary. And we've made sure the hotel is well aware of TRF in the event of any future similar situations from their guests. I know we have all had those moments in our lives where we would like to have a “ Do-Over”! A moment where you would have done something differently, but we don’t always get that chance. Well this time I did get that chance. Jim Wren gave me that chance. My guardian Angel! 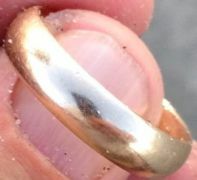 I was near Holden beach and had taken off all my jewelry except a gold toe ring. Which I never take off. I had not even remembered quite honestly that it was on. 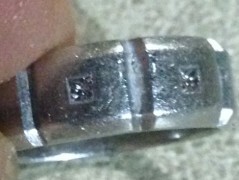 This was a ring that had been made for me from another special ring. This was irreplaceable! I found Jim’s name on the ring finders.com and that’s where and when my Do Over began. Jim made me feel so good with each and every conversation. I had resigned myself to having lost my ring. But Jim’s focus was never how much he was getting paid but finding what meant so much to me. It was so obvious that he was passionate about what he did in helping people. He was relentless going repeatedly to the beach for over a week. Never seeming to give up! For that I am eternally grateful! 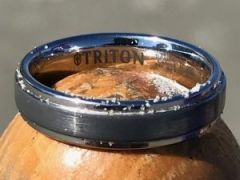 To think you can actually recover a lost ring in the ocean. I was reluctant when Eleazar called Jim for help. Jim was true to every word he said to us. He showed up when he said he would and found Eleazar’s ring in that choppy ocean. Jim was in knee deep water with jellyfish trying to find something that wasn’t his and not expecting a dime if he found anything. Jim is an amazing person! 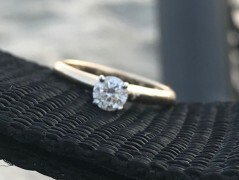 I am still in shock that he was able to recover my husband’s wedding band! Thank you Jim! I would recommend Jim for the job without hesitation. What he did for us and what he can do for others is wonderful! Call him as soon as you lose something on the beach. He will be there within the hour if he’s not on a job. He’s so nice, knows what he’s doing, and will keep searching to find your treasure. What a guy! My husband and I were on vacation in North Myrtle celebrating our anniversary. 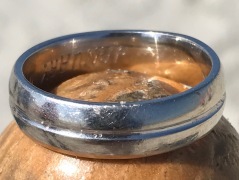 My husband and daughter were tossing a ball back and forth in the surf and shortly afterwards we realized his wedding band was missing. We looked, to no avail, and considered the ring a loss. We were almost sick the rest of the afternoon, but I thought I would put an ad on Craigslist “lost and found” in case an honest person found it. While I was making the post, I saw an ad for Ringfinders. I was skeptical, but thought it was worth a shot. I called Jim Wren and he put me at ease right away. He was very professional when we met to show him the area where we thought the ring was, and told me he would call if he found it. 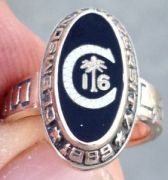 I really didn’t expect to hear from Jim, but around 7:00 that afternoon he sent a text with a picture of him holding the ring!!! Our prayers were answered, and we couldn’t be more excited to go meet him to get the ring. I thought tonight while in Myrtle Beach we would be celebrating completing the first year of Nurse Practitioner school, surviving a day of surfing, or just being together as a family…. After hours and hours of walking the beach and several tears being shed, we gave a desperate plea of googling and coming across a local “ring finder.” Turns out Jim from The Ring Finders of North Myrtle Beach SC was my saving grace!! He came immediately following our phone call and swept the water up and down and back and forth with his metal detector. 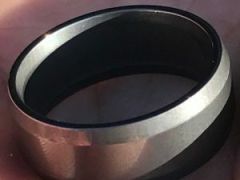 Not only did he give me reassurance and confidence that he would find it, even if it meant searching for weeks, he gave me evidence…MY RING!!!!! I can’t tell you over and over again how amazing you are! My whole family is still in awe that we have my wedding band! 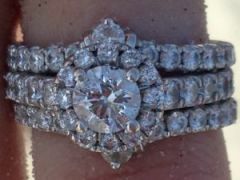 When I received the text message from you with the picture of my wedding band – many of us were speechless. 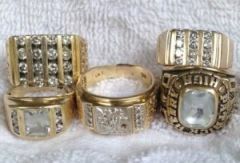 I am blessed beyond measure to have been able to come across The Ring Finders! What you guys do is phenomenal! My thought process in calling you was that I was so incredibly thankful that you would come out but I really did not have a lot of hope. I just didn’t want to leave without a fight when it came to losing my ring set. But I still just can’t even put into words my thankfulness to you. you showed up 20 minutes after I called you and the type of person that you are showed from the first time I met you. I don’t know how to thank you, as mere words cannot express the gratitude we have for what you did. You see, Kaley is my daughter. My one and only! 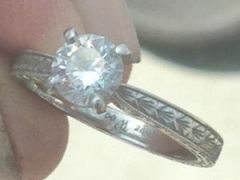 When she called us at 3:00am and told us her ring was “gone”, our hearts sank. We know how much that ring means to her. 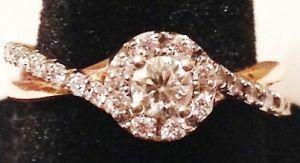 We purchased the insurance to replace the ring when we bought it. But, to her it was just “not the same”. 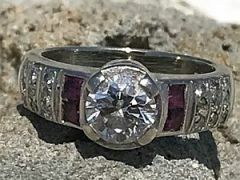 Knowing that there was NO WAY she would ever find her ring again, I tried to do what any dad would do. I told her it would be okay, “we will get you another one”. In my heart I knew she would never be happy with “another one”. Yet we had to do something! She told us she had contacted you and we thought “1 in a trillion chance” that you would find it. When she forwarded us your text and the picture, we were blown away! This couldn’t be. It had to be “lost at sea”, “eaten by fish”, or “buried forever in the shifting sands”. But, YOU did it! You were the one in a trillion. So, from one dad to another, THANK YOU my friend. THANK YOU, for making my “little girl’s” wish a reality. We will be taking her to Kansas in a couple of weeks. I know that that meeting you and knowing what you did, will always be with her. Your kindness and the generosity of your time means so very much. Thank you again! Have a blessed day! We are SO thankful to Jim. His hard work and dedication really made the difference on finding this ring. After the first hour, we thought it was basically hopeless. Jim kept pushing on, trying a different detector, trying different areas and talking to everyone he could to get a better idea of where the ring might be. He was not going to give up — and he didn’t! Strangers on the beach were still cheering and talking about him long after he found our ring. 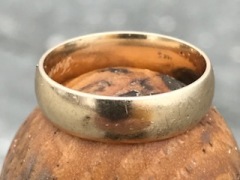 The ring was insured, but no amount of insurance money would have given us back what Jim gave us — the original ring with all its associated sentimental value. Jim, you are wonderful man and you turned a potentially very sad situation into a joyous memory we will cherish. Thank you so much!! Jim, you are an angel! We were mourning the loss of that ring and accepting the fact that it was long gone. Matt was truly heartbroken because it was his original wedding ring. Jewelry can be replaced but that band stands for so much more to both of us. You’ve given us an irreplaceable gift and we will be forever grateful. Yes, we have Gracie to thank, too. When we had given up, the faith and determination of a child delivered us a little miracle. Thank you so much Jim! 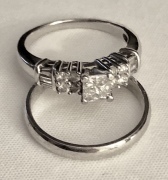 Thank you so much for looking for my daughters(Mandy F.) ring. She was very heartbroken when she lost it. She tried to hide it but I knew it really affected her. You guy’s are definitely our hero’s and we appreciate all you have done for her and for other’s like her. Not too many good and honest people in this world anymore. Thanks again!